The child custody arrangement you and your ex-spouse agreed on during your divorce seemed that it would work at the time . But it often doesn’t turn out that way. Noncustodial parents find that they get far less time with the children than expected. Custodial parents find themselves turning their and their children’s life upside-down to accommodate visitation by the noncustodial parent. If you find yourself in one of these situations, you need help modifying or enforcing your visitation arrangement. A child visitation attorney from the Law Offices of Ellen L. Lee in Rockville can take the conflict out of visitation. Recent studies indicate that divorce significantly affects children emotionally, socially and academically. Maintaining healthy relationships with both parents can lessen the emotional trauma for your children. If your current visitation arrangement is not working, you should retain a Rockville visitation lawyer to enforce the arrangement or to negotiate a new visitation plan, which might be strict or flexible and might include any combination of overnight, weekend and extended visits. If you are trying to establish a visitation schedule or if you are unhappy with the visitation arrangement that is in place, our Rockville family lawyer can help. 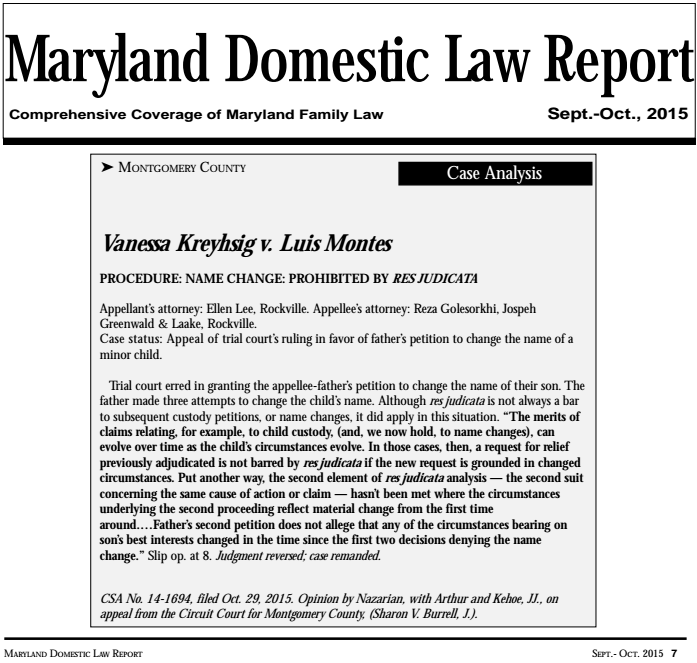 Grandparents may petition a Maryland court for visitation rights at any time. If the court is convinced that time with a grandparent or grandparents is in the best interest of your grandchild, it may grant you regular visits. And if neither of the parents objects, the court is likely to do so. Contact us about visitation rights in Rockville, Maryland. Visitation that is free of conflict allows both parents to maintain healthy relationships with your child. To learn more about how our attorney can help with your visitation issues, call 240-552-6957 or contact the Law Offices of Ellen L. Lee online today. Conveniently located two blocks from the Rockville Courthouse, our law office serves clients in Montgomery County and throughout Maryland. We also have a satellite office in Bethesda.